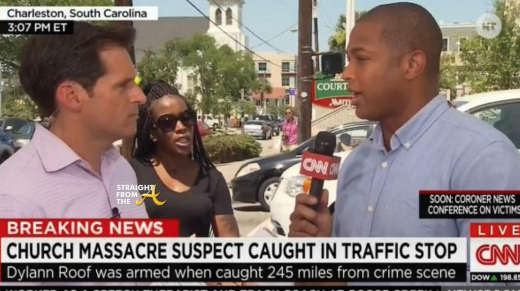 CNN anchor Don Lemon was the target of an angry heckler yesterday as he was covering the church shootings in Charleston, South Carolina. During a live CNN segment, an angry Black woman heckled Lemon and co-host John Berman, calling both Lemon and President Barack Obama “Uncle Toms” and referring to the POTUS as a ‘puppet’. “Are you angry Don? Are you angry? We’re mad, we’re angry — tell the truth!” says the woman, who walked up behind the newscasters. Lemon tried to diffuse the situation when he was introduced, saying the hosts were also joined by “a friend,” but then he eventually decided to just ignore the woman’s taunts. “Black folks, get off your knees and start praying… STOP praying.” she said. 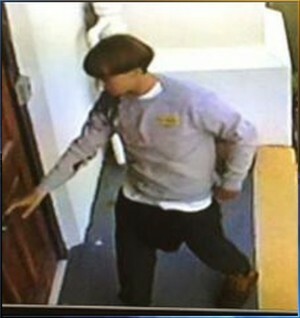 The 21 year old THUG (yeah I said it) posed for the mugshot above after he allegedly opened fire Wednesday night at a prayer meeting at Emanuel AME Church in Charleston, South Carolina, killing nine people. 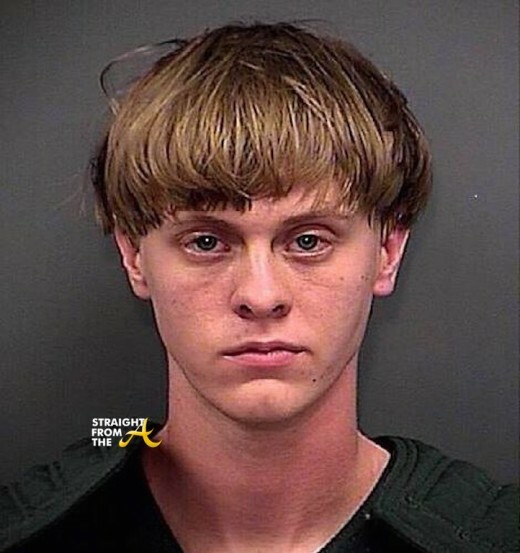 Roof, was at the historic African-American church for about an hour, where he attended a prayer meeting with his eventual victims but sometime during the services, Roof decided he wanted to ‘kill Black people’ and began firing shots inside the place of worship to accomplish his mission.